Unforeseen expenses beyond our control such as natural calamity / landslide/ snow fall / Strike / Hike in Tax Structure / Hotel / transport rates etc. 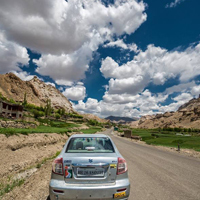 Once you reach the Kushok Bakula airport of Leh, get transferred to your hotel. Complete the check-in formalities. 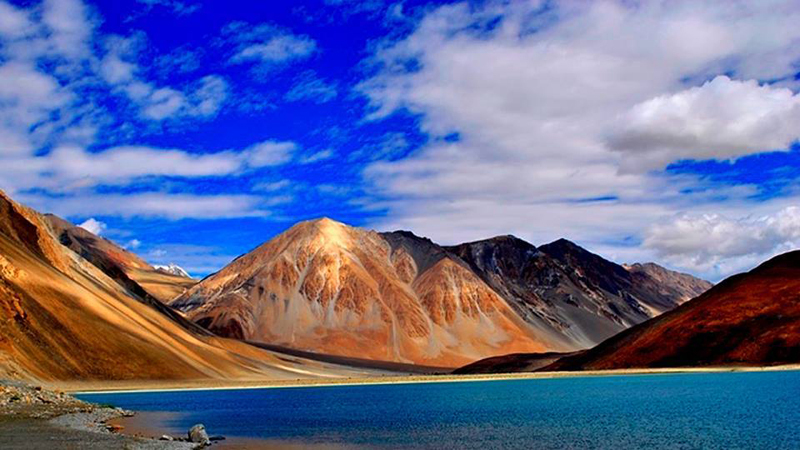 Leh, situated at an altitude of 11,562 feet, is the capital of Ladakh. Spend the rest of the day in getting acclimatized, which is extremely important. The evening is free to take a walk at the Leh bazaar. Stay overnight in the hotel. Post breakfast, hit the road to go to Ulleytokpo which is around 70 kms. On the way, stop at Magnetic point, Sangam (meeting point) of rivers Indus and Zanskar. Afternoon arrival at Uleytokpo. Relax for some time. Later, go to Alchi for visiting the popular Alchi monastery, although a monastic complex but a popular monastery. It is almost 1000 years old and is extremely well-maintained. Return to Uleytokpo for an overnight stay. 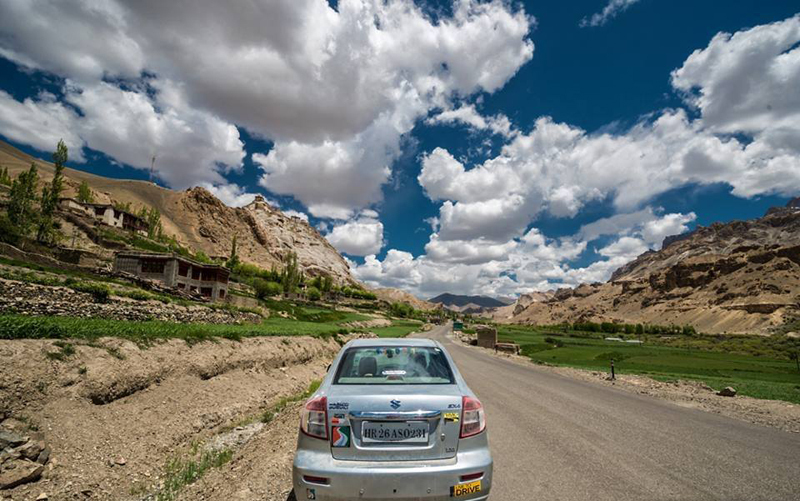 Have your breakfast and hit the road back to Leh. On the way, you are going to explore enroute visit Rizong and Spituk monasteries. Rizong monastery, home to around 40 monks, is popular as ‘Paradise for meditation’. Also known as Pethup Gompa, Spituk monastery is now managed by Yellow Hat Sect. Have lunch in Leh. Post lunch, you will Leh Palace- abode of the royal family now in ruins, Hall of Fame- a museum maintained by the Indian army. In the evening, visit Shanti Stupa- a Buddhist white-domed stupa situated on a hilltop in Chanspa, popular as a point to enjoy sunset. 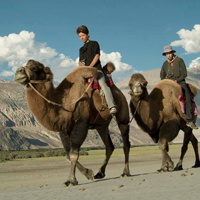 Stay overnight in Leh. After breakfast, leave by road for Nubra valley, driving past the Khardongla pass, on an altitude of 18360 feet, famous as the highest motorable road in the world. 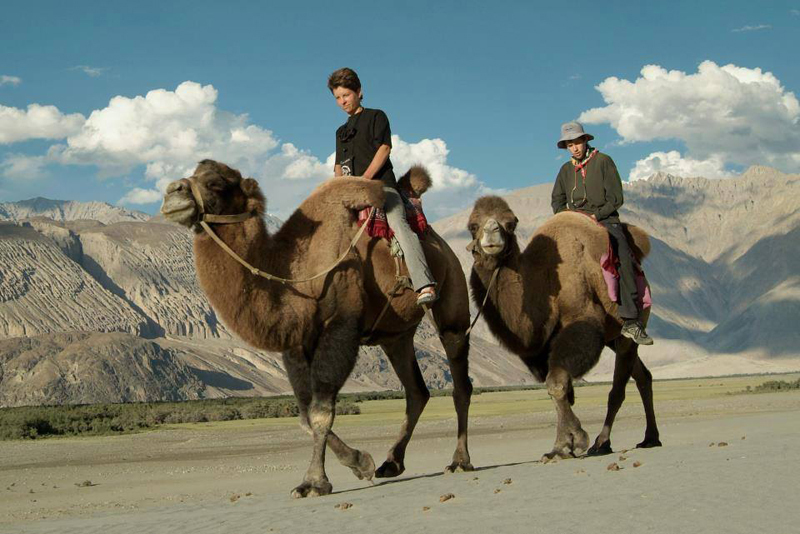 Afternoon arrival in Nubra Valley. Check-in at the Hotel/Camp. Afterwards, visit the White Sand Dunes where you can enjoy a camel ride. Later go to Diskit Monastery, oldest and largest Buddhist monastery of the valley. Overnight stay. After morning breakfast, visit Samstanling Monastery, 140 years old monastery, residence for around 50 monks. Carry packed lunch and leave for back. Evening arrival in Leh. Complete the check-in formalities. If you want, you can explore the surroundings on foot. The evening is free for leisure activities. Dinner and night stay. 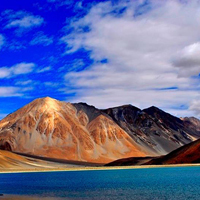 The 6th day of the tour is booked for an excursion to Pangong Lake, one of the biggest natural brackish lakes in Asia. The lake is situated at a height of 14, 270 feet and is 143 kms long. Enjoy a picnic lunch alongside the lake. Treat your eyes with the surrounding beauty. Evening return to Leh. Dinner and overnight stay. In the morning, get transferred to the airport to board a flight for your onward journey.